We are so excited to share our artwork with you! 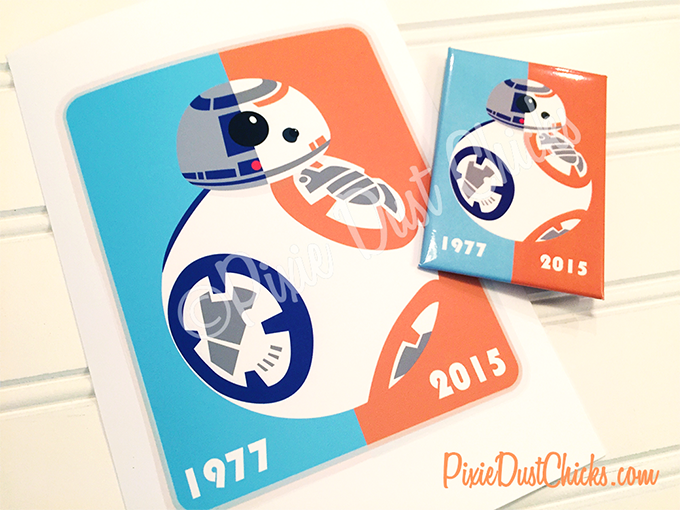 Others who have seen it have been asking how to get their own print or button of “Droid Legacy”, so we’ll be selling both in our Etsy shop tomorrow. We’ll have a limited number and only be open tomorrow so that we can pop your prints and buttons in the mail right away. Sound good? Great, then we’ll see you tomorrow! Love you! And may the Force be with you…always! « Giveaway Winner! Time for Christmas Fun! Can’t wait to get mine!!!! This is AMAZING!!!! MUST HAVE! !